USB Flash drives come in all shapes and sizes from the funky USB burger to the latest and greatest USB Eraser. This latest eraser is custom built using a standard pencil eraser and a flash drive. By hiding your flash drive in a pink eraser you can safely assume that nobody is going to attempt to steal it while it lays on your desk at the office. This RC car is a laptop controlled drifter project created by Chris over at PyroElectro. 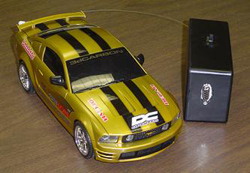 The aim of the project was to make an ordinary RC car have the ability to be controlled by a laptop. By using the laptop and a small box attached to a COM port, full control of the car is made possible and of course, automated control is also available too. By using Windows scripting, commands can be sent to the remote control device at the end of the COM port which in turn, sends those signals to the RC car. The car it’s self is untouched and standard. These days it seems that Big Brother is everywhere, watching you. In places like the UK there are public surveillance cameras all over the place. Aside from covering your head completely, there is little one can do to stay “off the radar” in these areas. 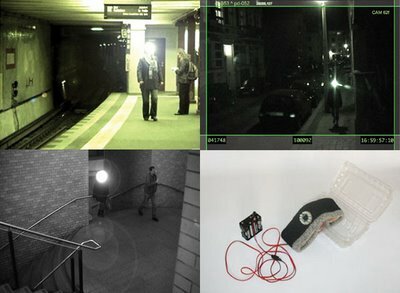 That, or with a little bit of effort and know-how you can assemble a small device that will prevent your face from being seen on any video cameras. Are you the kind of person that likes to tinker around with DIY projects? I love my Dremel, and actively search for reasons to use it. 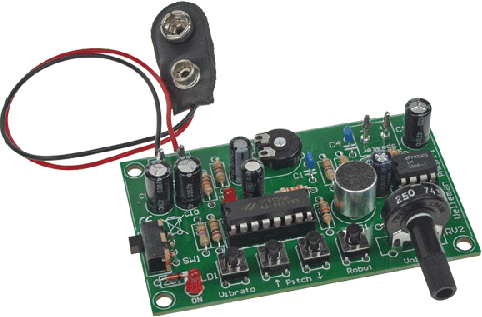 If you’re the same way, and have a taste for pulling practical jokes on unsuspecting friends, then might I suggest looking into the DIY Digital Voice Changer Kit?